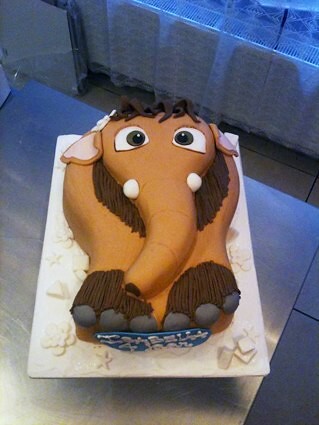 Ice Age II Peaches Cake, a photo by CAKE Amsterdam - Cakes by ZOBOT on Flickr. Peaches from ICE AGE movies! FLAVOR : Vanilla Cake with whipped cream, raspberries and homemade lemon curd.